Now that I have to make my way home in the cold and in the dark, I’m finding myself craving warm, comforting soups and stews for dinner. 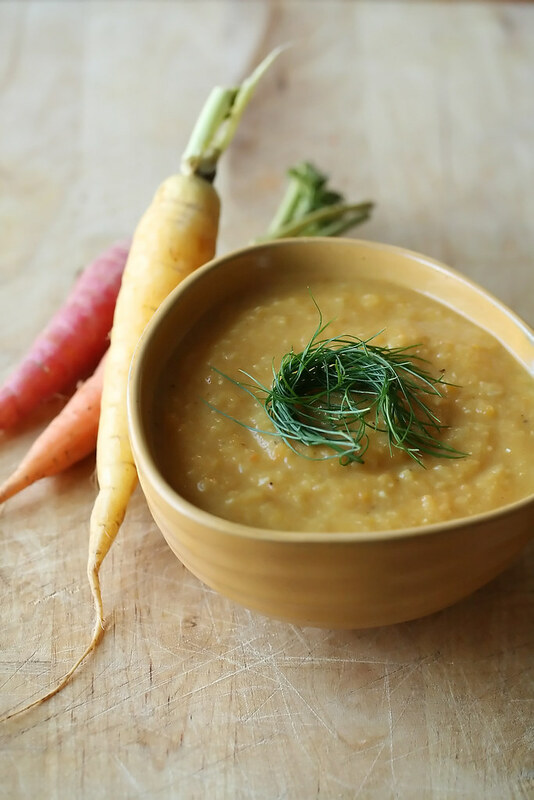 This fall vegetable red lentil soup is one of my favourites for those dark and chilly evenings. It requires very little actual work beyond peeling and chopping a few veggies (actually, the peeling is optional… so you can skip that step and just scrub your veggies thoroughly if you’re feeling lazy), and less than 45 minutes later, you’re rewarded with a piping hot bowl of sunny orange soup. Honestly, it would probably take more work to dig out a takeout menu and wait for the delivery guy to show up… it’s just THAT easy. My personal preference is for a creamy, velvety texture when it comes to carrot or sweet potato soups, so I puree the soup using my handy-dandy immersion blender. 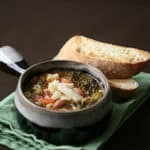 A simple stick-to-your ribs fall soup designed to clear out those odds and ends that are probably hanging around in the crisper at this time of year. In a large saucepan set over medium-high heat, saute the onion in olive oil and butter for 10 minutes or until soft and golden, stirring frequently. Stir in the minced garlic and curry, and continue sauteeing until fragrant, about 2 minutes. Add the sweet potato, carrots, fennel, apple, lentils and broth. Bring the mixture to a boil, then reduce heat to low and simmer for 20-30 minutes, or until vegetables are tender. 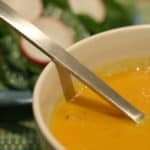 Using an immersion blender, blend soup until you have a smooth puree (or pour into a food processor and puree, working in batches if necessary). If the soup seems to be a little too thick at this stage, add more water or broth until you're pleased with the consistency. Serve immediately, garnishing with a dollop of yogurt if desired. We just made this tonight and it was amazing! Glad I found this on Food Buzz! Ah, nice idea for fennel. I can't decide if I love or hate it, but it looks like it would work well here. Love your combination of veggies. 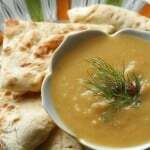 Never made lentil soup with sweet potatoes so I def want to give this a try! This looks like the perfect autumn soup. I love the idea of combining sweet potato, apple and curry paste — sounds like a winner. 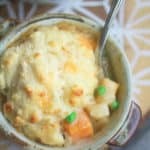 Looks like a nice comfort soup for the wintertime! I'm Isabelle, and this is my blog. I'm a 40-something coffee-chugging, booty-shaking, bargain-shopping, trucker-swearing self-taught cook with a major addiction to vintage cookbooks. Come for the recipes, stay for the terrible puns! Connect with me on Twitter, Instagram and Facebook. Get the latest posts from Crumb delivered straight to your inbox!